Chuck Butler, Linda Butler, and Warren Cooper attended the TIME Dealer of the Year Awards in New Orleans, where Chuck was nominated as the best dealer in the state of Oregon. Although the award was ultimately presented to Carl Swope, a nominee from Kentucky, it is difficult to describe how meaningful it was to watch your friend, mentor, and employer taking the stage to be recognized at the most prestigious ceremony in our industry. Chuck, like the rest of the nominees at last week’s event, was selected as much for his success as a businessman as he was for his charitable work in the community. The Butlers settled down in Southern Oregon for a reason: they loved it here. From the culture of creativity and studiousness fostered by the college to the spirit of art and imagination cultivated at the Oregon Shakespeare Festival, Chuck and Linda saw in Ashland, Medford, and the entire region a lively heart and breathtaking natural beauty that seemed the perfect setting for their life and career together. For as long as we have known him, and for a good long time before that, Chuck has found joy in giving back to the people and places that have given him so much, and it was a joy to see him recognized for those efforts. 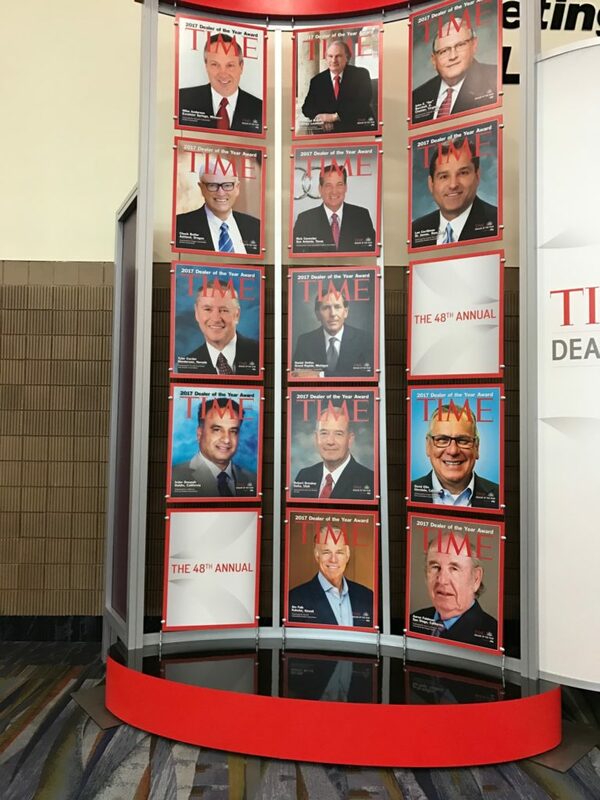 There are more than 16,000 auto dealers nationwide, and Chuck was one of just 49 invited to the stage at the National Automotive Dealer Association (NADA) in New Orleans. As we watched him stand side-by-side with the other men and women nominated, we were reminded not just of what an honor it is to work for Chuck, but of how much good a car dealership can do in their community, when everyone involved buys into a belief in service and giving. That’s what Chuck has built in Ashland, and that’s what everyone on stage has built in their respective communities. We would have loved to see Chuck win the final award, but at the end of the day, we are honored to have the privilege of seeing this truly humble man being recognized in his industry’s biggest stage. Award ceremonies can be once in a lifetime, but the charitable spirit and humble heart that earned Chuck a nomination are on display every day, and we are truly blessed to work beside these amazing people. Chuck, Linda, and Warren: thank you for being our mentors, teachers, and bosses – you are deeply appreciated.